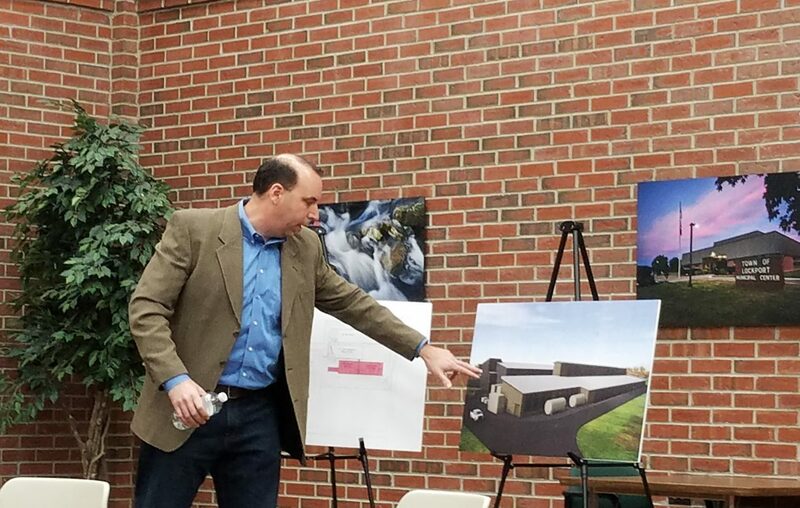 The company intends to start construction "within days" on the $28 million, 75,000-square-foot expansion of its center on Crown Drive in the town industrial park, said Paul Bonaro, Verizon Media vice president of data center operations. He said work should be complete by the end of the year. "It is our intention to maintain a winning formula," Bonaro said, adding that Verizon Media has "a longstanding commitment to operations in Lockport." Verizon Media acquired two Lockport data centers originally built by Yahoo and later transferred to Oath Holdings. "It's been a huge shot in the arm top keep our guys working," said Russell Quarantello, business manager of Local 237, International Brotherhood of Electrical Workers. He said 60 to 75 Niagara County union members will work on the construction of the addition, and some members have actually joined the Verizon Media payroll. "They have more than exceeded our expectation from an economic development point of view," said David R. Kinyon, the town's former economic development director, who spoke at the hearing. The 15-year incentive package calls for Verizon to begin making payments in lieu of taxes to the town next year instead of waiting until 2024, a delay which was included in the original incentive plan for the second data center, adopted in 2013. That deal was superseded by Thursday's agreement. Verizon's IDA application says that once all the computer equipment is installed in the expanded facility, the company's total investment in the addition will be about $241 million. All told, Verizon Media and its corporate predecessors have invested more than $500 million in the Lockport campus in the past decade. "Long term, it's critical to the growth of the Town of Lockport," Supervisor Mark C. Crocker said. "It creates jobs our kids can fill, high-tech, good-paying jobs." The project will add 10 jobs to the workforce at the Crown Drive location, bringing the total to 125. Verizon also employs 75 people at the original Enterprise Drive data center. In all, the companies have invested more than $500 million in the Lockport site in the past decade. Terms of the package call for Verizon Media to continue receiving an exemption from paying sales taxes on building materials or equipment. That will save the company an estimated $17.3 million, according to the IDA application. The total property tax savings for Verizon Media over the 15 years is almost $11.6 million.